The main element in targeting your mobile messaging correctly is giving consumers the data they require, when they need it and where they want it. It is of significant importance to keep in mind, that a mobile message interrupts and disturbs your customers’ daily activities. Just look at yourself! No matter where you are, if you hear your phone ringing or feel it vibrating in your pocket because you just received a message, you feel that urgent need to immediately look at it and respond to it. For businesses, this implies enormous marketing opportunities, but also some restrictions and risks. On the business side, there is nothing more effective than a perfectly targeted message. This message, regardless if it is a push notification, an in-app message or an SMS, delivers your customer relevant content, in the right place, at the right time. For instance, a guest checking in at the hotel reception is very happy to receive a welcome-message from the hotel at arrival. But on the consumer side, there is nothing more annoying than a badly targeted notification. The is a fine line between an appreciated marketing message, and a disturbing one, commonly referred to as “spam”. A customer considering your messages as spam is not very likely to further enjoy your messages and will probably delete your app from his smartphone. 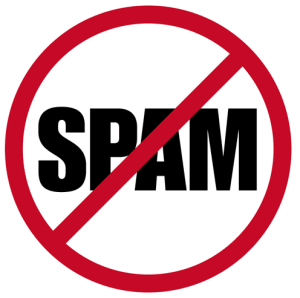 In a digital society, where spam messages are continuously becoming more present, the tolerance for these unwanted advertising messages is extremely low. So how do you approach this problem? In a very spam-aware consumer world, the key word for this is segmentation. Detailed customer segmentation allows you to identify the correct recipients for your messages, using different criteria such as personal interests, geo-location, app usage history and many more. The PUSHTech™ Mobile Marketing Cloud segmentation feature allows you to do exactly that; to engage and target, enabling you to create more appealing messages for your users. The PUSHTech™Mobile Marketing Cloud platform allows you to segment your users into groups in relation to their unique interests to help you push more personalized notifications. What are your experiences with spam messages? Contact us and let´s talk.